Traditional news outlets can be reactive rather than proactive. Our core belief is that investors demand ideology-agnostic and ""smart beta"" news in a growing decentralized multi-speed world. Our credibility for delivering insightful information has been built over last 5 years by a global network of analysts and reporters. Our analysts include former fixed-income and currency traders, who convey the key market moving news and events in the shortest and most succinct format possible. Please contact us at [email protected] for any news tips. 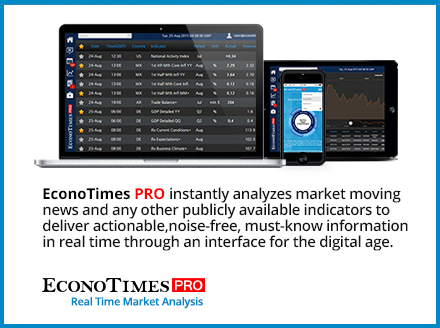 EconoTimes PRO is an exclusive platform for fundamental investors and buy-side professionals. It offers access to a newsfeed, economic calendar, charts with daily reports and top trading ideas. From a risk management point of view, users receive a 24 hour early access to key articles before they are released to our community of free subscribers. On average, 800-1,000 headlines and articles are published per day.